class="post-template-default single single-post postid-345070 single-format-standard custom-background group-blog header-image full-width singular wpb-js-composer js-comp-ver-5.7 vc_responsive"
In the rush of daily life, eating at fast food restaurants is often the default choice for getting through the to-do list. And the need to eat on the go may only increase as the hustle and bustle of the holidays approaches. The concern, says K-State Research and Extension nutrition specialist Sandy Procter, is that many fast food choices can lead to unhealthy eating. 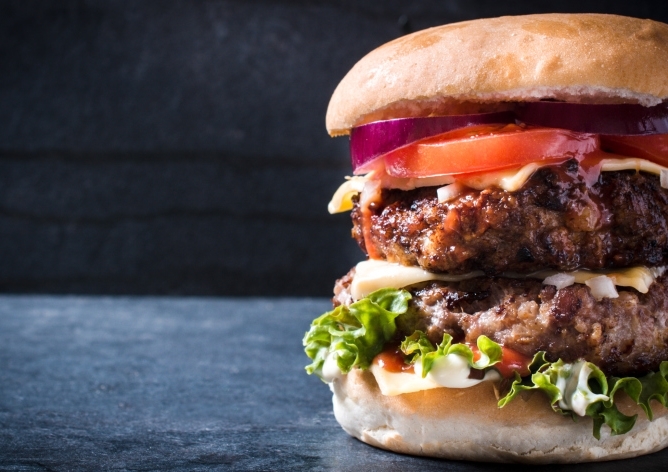 In October, the U.S. Centers for Disease Control released results of a study from 2013 to 2016 concluding that more than one in three adults consume fast food on any given day. Convenience is the No. 1 reason why most people choose fast food. The relatively inexpensive cost, the fact that we like it and a lack of alternatives are other top reasons. “I don’t think we are going to change the fact that many adults on many days of the week take fast food as an option, but I think if we look into it a little more deeply, we can all be better in control of what that means to our health and our diets in general,” Procter said. She added that one key to avoiding unhealthy choices at fast food restaurants is to plan ahead. That could mean packing your lunch – or even part of the meal — the night before to avoid rushing out without food in the morning. Plus, planning ahead saves money and helps control the amount you eat. Procter noted that consumers also can check out nutrition information online for many restaurant chains. “So even if it’s not posted at the point of sale, you can find out about those choices that you automatically make,” she said, adding that knowing nutrition information could help you cut calories and eat more healthfully. Split meals with a family member or friend. Portion sizes are often too large for one, but just right for two. Pack snacks or parts of a meal for traveling, especially when flying. You can supplement with small, healthy choices in the airport. Choose water instead of sodas or other high-calorie drinks. Consider purchasing a ‘Kids Meal,’ even if you have to pay a small up-charge. Go light on the add-ons, such as dressing, cheese, macaroni salad, heavy sauces and other toppings.